We’ll review Evaluation and Management, also known as E&M. On the CPC exam, you should expect to see around ten questions about E&M. (Bear in mind that this is an approximate figure, as the AAPC does not release the number of questions that focus on each subject). Unlike most of the codes in the rest of the CPT manual, E&M codes have some gray areas. The fact that they’re open to interpretation can make them difficult to use, but they’re flexible for a reason. An E&M procedure is the first step in treating a patient (the doctor has to figure out what’s wrong with the patient, after all), and so the E&M code set has to be adaptable enough to deal with a wide variety of patients and an even wider variety of injuries or illnesses. As we said, E&M is the first section of the CPT manual. It’s placed there, out of numerical order, because it’s referenced so frequently. E&M codes are found in the 99201 – 99499 numerical range. Let’s take a look at the various subsections of E&M. Within each of these fields of E&M, there are various codes that correspond to evaluations of varying intensity. One of the main difficulties in coding E&M is evaluating the intensity of the procedure performed. Let’s rewind for a second and talk about the most basic and important part of using E&M codes: the history, exam, and medical decision making portion, which is often abbreviated as HEM. Generally speaking, there can be no E&M code without a HEM. The ‘history’ refers to the patient’s medical history and their history with the provider performing the E&M procedure. The exam refers to the examination of symptoms. This refers not only to the physical examination, but to the verbal assessment as well. 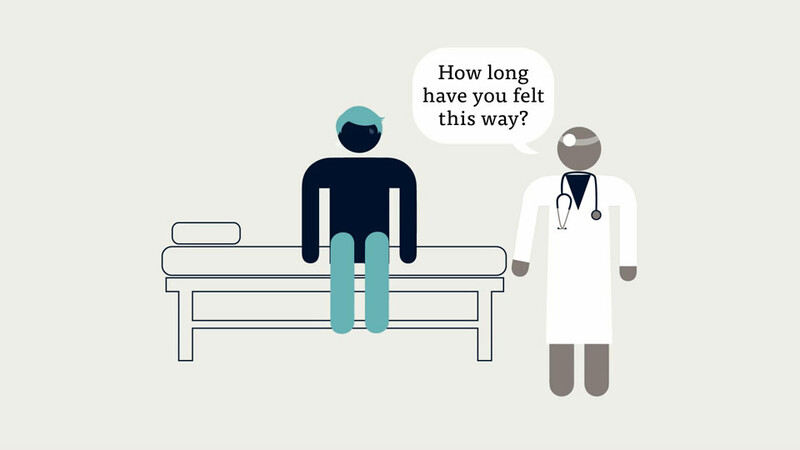 When a doctor evaluates a patient, they ask what’s bothering them, where something hurts, how long has the patient been experiencing the symptoms, etc. These are all parts of the exam. Obviously, in cases where the patient is unconscious or unable to voice their symptoms (like in the emergency department), the exam won’t be verbal. The medical decision making process entails the doctor deciding on and in some cases recommending treatment. This may be as simple as a doctor prescribing some medication, or it may involve the doctor passing the patient onto a different specialist. (One important caveat: some preventive medical services do not use HEM, because the patient does not have any symptoms to examine as yet). When a patient goes to a specialist, this is often called a consult. However, in E&M there are certain rules for consults. A consult must include three Rs: the request for an opinion (from the initial physician), the rendering of the opinion (from the second physician), and the reporting of the opinion (back to the initial physician). E&M is a difficult section to master, and it’s worth taking extra time to study it before the CPC exam. Unlike Surgery, the section is not arranged intuitively by parts of the body. Coders should look to the guidelines for various code-specific rules. For example, E&M has a general rule that there is one E&M code per doctor, per patient, per day. That is, if a doctor sees a patient twice in one day, the entire day’s E&M procedures would be bundled into one large code. Coders should also know the difference between emergency department services and urgent care services, which may be similar in practice, but completely separate in the coding and billing world. Likewise, coders will need to know when to use an outpatient code versus an emergency code. The best way to handle E&M codes is to constantly narrow your focus. Start by finding the right category of code. Where does the procedure take place? Does the question say anything about critical care or the emergency department? Is it a routine check-up? Then move to the category of E&M. From there you can look for the HEM. A heads up: The CPC exam will sometimes forgo the H (history) of HEM and focus instead on the the E (exam) and M (medical decision making). Don’t be thrown off if there’s no mention of the H in HEM. If you need a quick reference, in Appendix C of the CPT manual, you’ll a list of commonly confused E&M codes and some examples of what types of evaluations they represent. Mark this page for future reference. This video will review Evaluation and Management, also known as E&M, on the CPC exam.